Destiny's Child are to release a brand new greatest hits compilation. 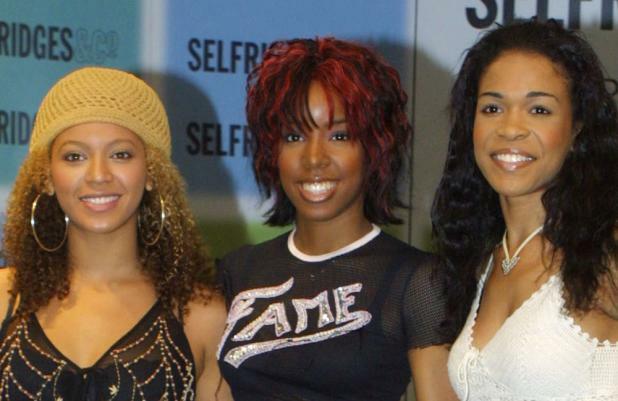 The girl band - made up of Beyonce Knowles, Kelly Rowland and Michelle Williams - will bring out the 14-track LP, entitled 'Playlist', on October 8, which is around the 15th anniversary of their debut single 'No, No, No Part 2'. The trio's first release in seven years will feature the hits 'Bootylicious', 'Independent Women, Part 1', 'Say My Name' and 'Bills, Bills, Bills'. 'Bootylicious', 'Survivor' and 'Lose My Breath' are also some of the tracks included. The release follows the announcement from Beyonce's father, Mathew Knowles, that two Destiny's Child albums featuring unreleased material would be released later this year. However, last month, Kelly said the group - who last performed together at the NBA All Star Game in 2006 - were not looking to reunite any time soon. She said. "If [reuniting is] something that we would want to do, you know, [we would] but in the meantime we're just enjoying each other's friendship. That's the greatest gift of Destiny's Child."